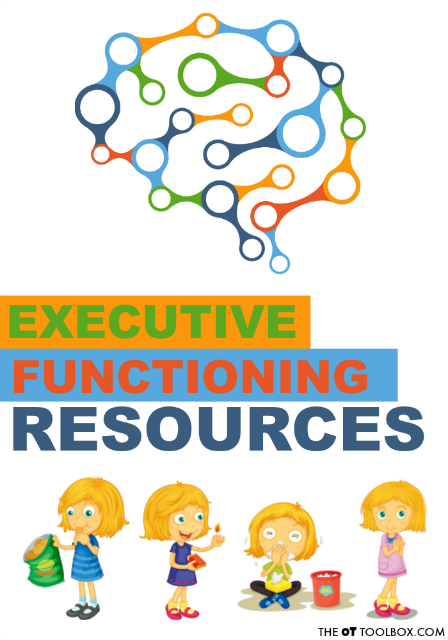 Below, you will find a collection of executive functioning resources and tools for improving executive functioning skills that can be used in the home, school, therapy clinic, or anywhere! 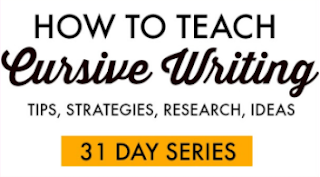 So, I'm hearing lots of happy chatter about this new email series happening each Thursday! Therapy Thursday has been off to a fantastic start. If you have missed some of the newsletters, have no fear. I've been compiling each week's newsletter into a blog post and posting them on The OT Toolbox. 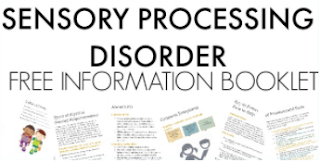 Each newsletter in Therapy Thursday is chock full of resources and info on one specific topic. If you would like to join The OT Toolbox newsletter, add your email here. 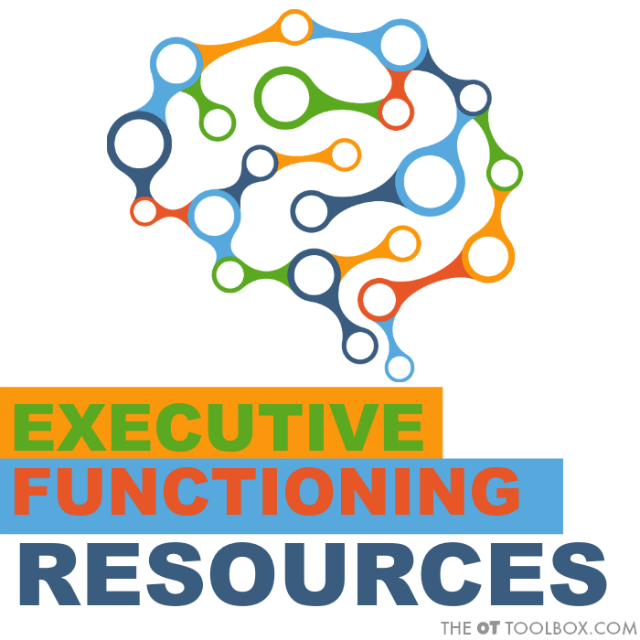 This week, we're about Executive Functioning Skills! Here are strategies to help the adult with executive function disorder. Many of these tips and strategies are great for teens as well. Executive Functioning Skills guide everything we do, from making decisions, to staying on track with an activity, to planning and prioritizing a task. The ability to make a decision, plan it out, and act on it without being distracted is what allows us to accomplish the most mundane of tasks to the more complicated and multi-step actions. Children with executive functioning issues will suffer in a multitude of ways. Some kids have many deficits in EF and others fall behind in several or all areas. _Everyone_ needs to develop and build executive functions as they grow. Functional adults may still be struggling with aspects of executive functioning skills. These cognitive skills are an interconnected web of processing that allows for self-regulation, planning, organization, and memory. Executive Functioning Skills are essential for learning, behavior, and development. All of these skills work together and impact other areas. Executive functioning skills development begins at a very early age. 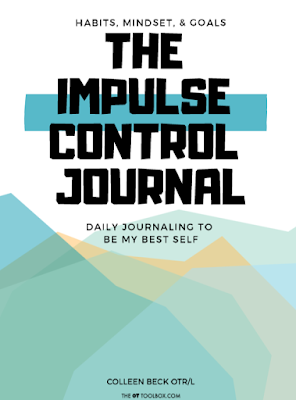 Click here to read more about executive functioning skill development. 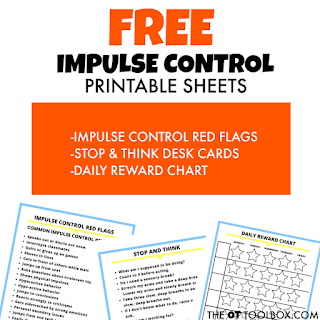 Get a free three page printable packet of sheets that can help with impulse control. Executive functions are heavily dependent on attention. 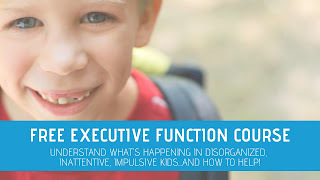 Read about the attention and executive functioning skill connection and the impact of attention on each of the executive functioning skills that children require and use every day. Check out these fun games to help improve executive function skills. 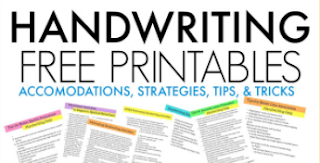 Another area of interest to you might be the impact executive functioning skills have on handwriting. Here are strategies for improving task initiation. Read about tips for improving working memory. Here are tons of tips for addressing organization issues at home or in school. These are great for younger kids through adult! Here are many activities and loads of information on improving attention in kids. 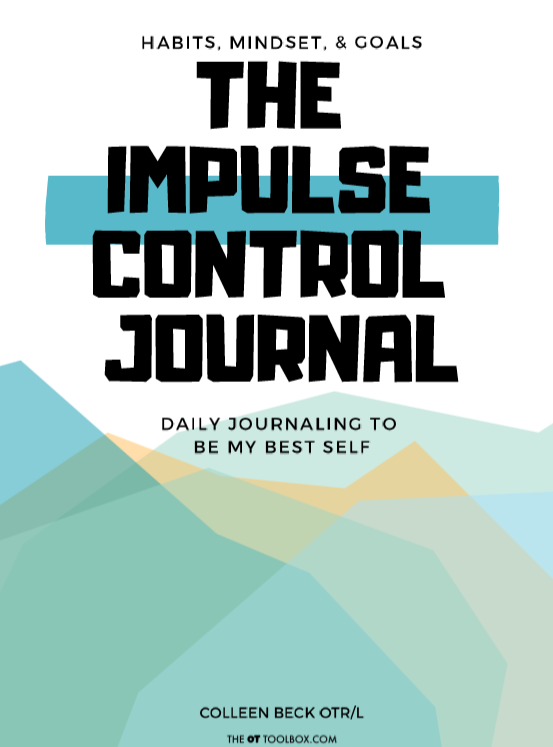 Helping kids with impulse control can be a big challenge! Here are tips that can help. Subscribers of The OT Toolbox newsletter are getting a weekly email with loads of resources focusing on a specific topic. This week's subscribers also got a free printable sheet and a special discount on an executive functioning resource. If you would like to get in on these perks, join us as a newsletter subscriber! Click HERE to subscribe to newsletters from The OT Toolbox. Watch your inbox for next week's Therapy Thursday!